In 2005 the Italian Navy decided to rid itself of a huge stockpile of Lee Enfields. It's not exactly clear where they came from, but most likely were contributed by the Allied powers at the end of WW2. The arms were split up between the Italian Services, with the Navy getting a good number of rifles. 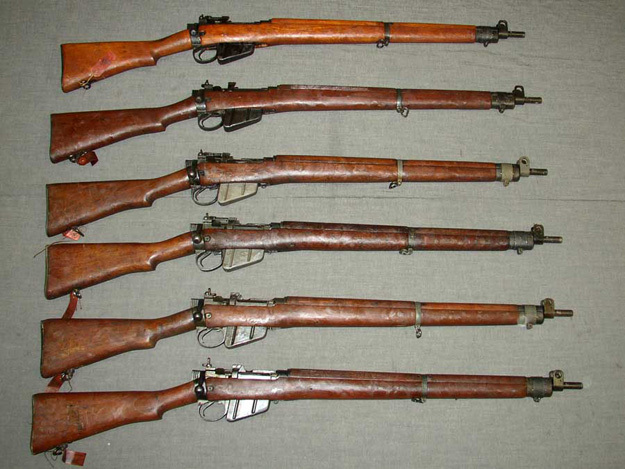 For the most part these rifles were never used, and reportedly warehoused and kept in good condition. 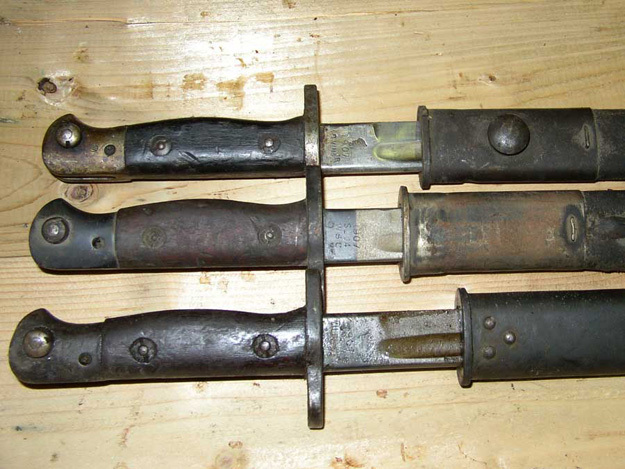 When the time came to get rid of them, some intrepid member of the Italian Navy got permission to sell them rather than melt them down, like they did to so many Carcano rifles. Euroarms has acquired them and are now for sale on the European market. Euroarms Italia was established in the early 70's by Luciano Amadi, and then the company was known as Armi San Paolo. They originally built a selection of blackpowder arms. In the early 80's they moved to Concesio in the Val Trompia Valley, where they are now. In 2000 they changed the name of the company to Euroarms Italia, and also got into the surplus arms business. A lot of military surplus sources have dried up in Europe since then and according to Euroarms, finding quality is getting harder, but they remain upbeat. They say there are still plenty of old guns in state arsenals around the world, and the problem is getting the countries to want to sell them, rather than just melting them down. 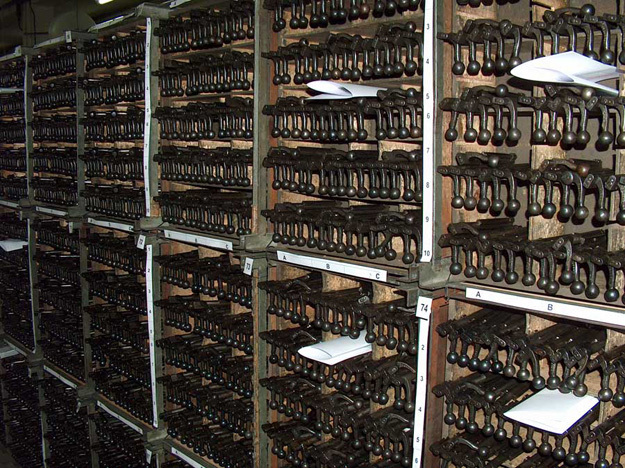 The Italian Enfields were stored without their bolts, which weren't kept in any kind of order, however Euroarms put in the effort, and at least half of the Enfield cache has been reunited with their original bolt. A lot of No. 4's were still in their original crates and covered in the grease they were sent to Italy in. The guns they have available range from the No 1 Mk III to No. 4's from 1911 to 1943 from all the British arsenals, Canadian Long Branch guns and some from India. They have plenty of bayonets also. The problem for us is getting them into the states. The only American representative is Euroarms of America, and they sell black powder reproductions to the Civil War Reenactor bunch. There are no American distributors of these Italian Enfields. 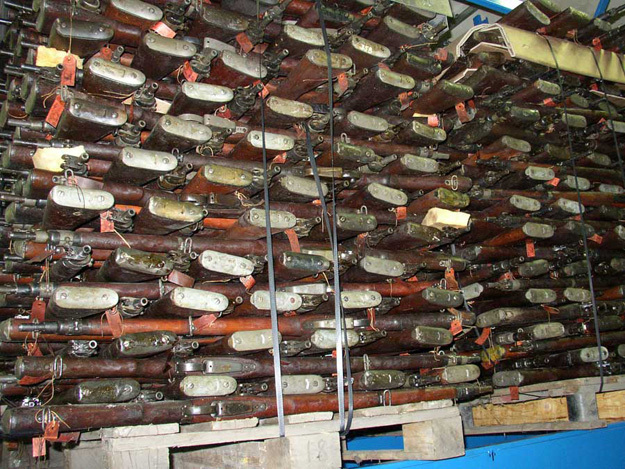 It's possible all this is held up by the US Government, who recently stopped the importation of old Garands from South Korea. The UK distributor for these Enfields told me it's possible to get one from them, but by the time it gets imported into the US, the price is over a thousand dollars. So for now, the European collector of old Enfields is having a field day! Graham Chuck Berry ( I worked in the fore ends on torpedoes ) any news of Ozzy ? Apologies for such a long delay Jesse but I lost the site. The use of 0.600" bullets is the modern choice but we have modern knowledge of how to do these things. Colonel Boxer had to work forwards from the previous muzzle loading bullets. It is hard to get that design to expand into the rifling when it depends upon the lead obturating upon itself with inertia when given the initial kick and the plug forcing forwards. It at this exact time that it is being restrained within the mouth of the case and then enters a throat wider than the bullet. Swiss No4 powder seems to do the best job ob the original design these days but I use No5 now in the modern style. Your problem in making reproduction bullets is getting a mould that will give you the nose cavity which is essential in making them fly as they did back then. They first filled the cavity with a Sycamore plug, then just spun the nose lead over the cavity hole. William Metford developed the cavity to hold an explosive charge but filled it with charcoal powder for target shooting to show the shot more clearly. One can get a lightweight wall filler from DIY shops that would be a simple material to fill an open cavity. If you ever track down a mould make who can do both the base cavity and the nose cavity there are shooters who would gladly join in buying one I dare say. I remember the incident very well. My husband was in Tiptoe when she ran aground up the Clyde in 64. He was a leading operator. I also remember the article as well and the title. I thought it was written by the Sun newspaper but that did not launch until September of that year. The only newspapers that I remember the family having were the Mirror, The Mail and Express. I did have a cutting in a scrapbook of the Tiptoe and also the other submarines my husband served on.